The roof of an empty warehouse collapsed on Chicago's Near West Side overnight. 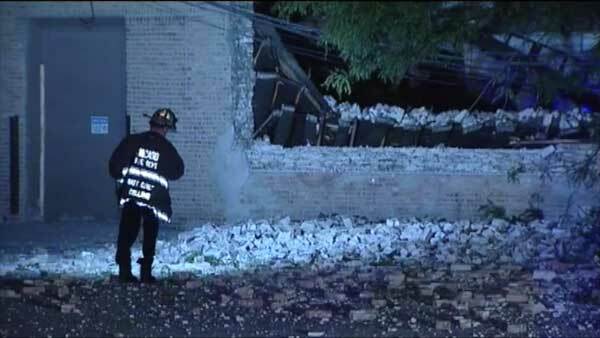 CHICAGO (WLS) -- The roof of an empty warehouse collapsed on Chicago's Near West Side overnight. The two-story building in the 300-block of North Carpenter Street was in the process of being rehabbed. The roof and part of the wall came down just after 11 p.m. Wednesday. Officials said what is left of the building is dangerous because it might fall apart. Building inspectors were called to the scene. The area may have to be blocked off to keep people away.